Our garages are an integral part of our home and for many of us today, an extended living and working area, not just a place to store cars and precious belongings. 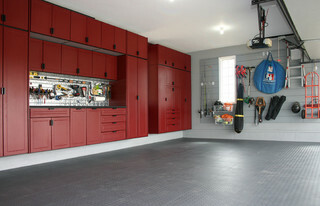 Garages can be used as a guest room, practice area, ‘men’s shed’ or study. But left neglected – especially over our long, hot Perth summer, they can quickly turn into one hot, smelly no-go zone! In this article, we thought we’d share some tips to keep your garage and door in good condition so you can enjoy this valuable space, no matter how you choose to use it. An insulated garage door is an ideal investment as it will certainly keep your garage cool. Left uninsulated, your garage door will hold onto the summer heat, dramatically increasing the temperature of your garage. So if you’re serious about keeping the temperature down in your garage, take a look at these two popular products. Guardian Doors can supply and install an insulated garage roller shutter to almost any garage door space. With foam-filled slats and quality aluminium alloy construction, the garage roller shutter is quieter than most traditional garage doors on the market. 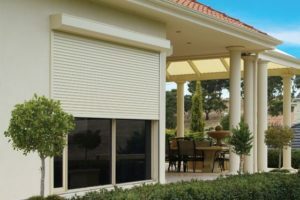 Garage roller shutters are available in a range of Colorbond colours and a variety of slats to suit every household. Plus, they’re insulated with Poly Urethane (and are CFC Free). Another way of insulating your garage is with the luxurious B&D Panel Lift Icon range of sectional doors. With enhanced security (Auto-Lock technology), this is the ultimate ‘do-not-disturb’ garage door, featuring a smoother and quieter performance B&D Smooth Track™, twin wheel system. This sectional door offers superior protection from the elements and keeps dust and insects out with 360º perimeter weather seals. Insul-Shield™ offers excellent heat and noise insulation technology and is a smart choice if you live in a busy area or use your garage for more than parking your vehicle. While the above options aren’t cheap and may set you back initially, you’ll save money in the long term as you drastically bring your utility bills down. De-humidifiers: while dehumidifiers may not be an ideal solution, they can help to absorb the excess moisture in the air. Air conditioning units: these can be fitted near a window in your garage. Ventilation: if you only use your garage infrequently and don’t want to invest in air conditioning, consider adding ventilation to help let the heat escape. Leave your internal house door open (internal door into the garage, not your garage door) and use fans or the aircon inside the house to ‘air out’ your garage. A garage door motor that has an option for smart pet mode – even if you don’t have pets, allows ventilation into your garage while maintaining your security. Guardian Doors have a wide range of motors with this feature to suit all budgets. Garage Door Motors: Which One Do I Need? Sign up for newsletters, VIP offers and handy tips. Simply fill in the form below we’ll get back to you within one business day. Simply fill in the form below we’ll get back to you as soon as possible. For a free measure & quote, service or advice, fill in the form & we’ll get back to you within one business day.